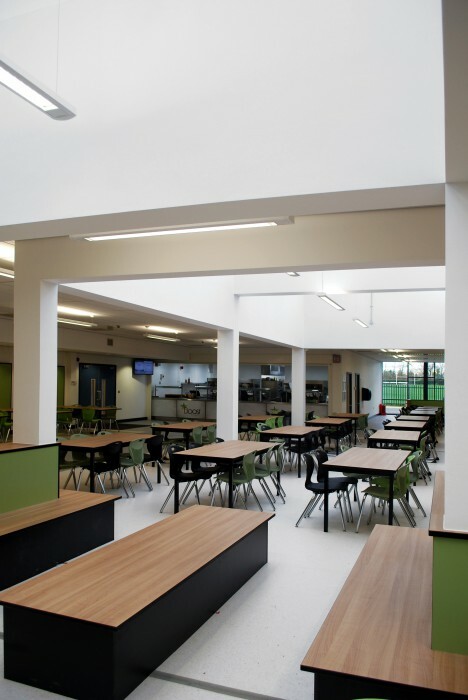 Halliday Clark were commisisoned to design a new Dining and Sports facility at Lodge Park Academy in Corby, part of the David Ross Trust group of schools. 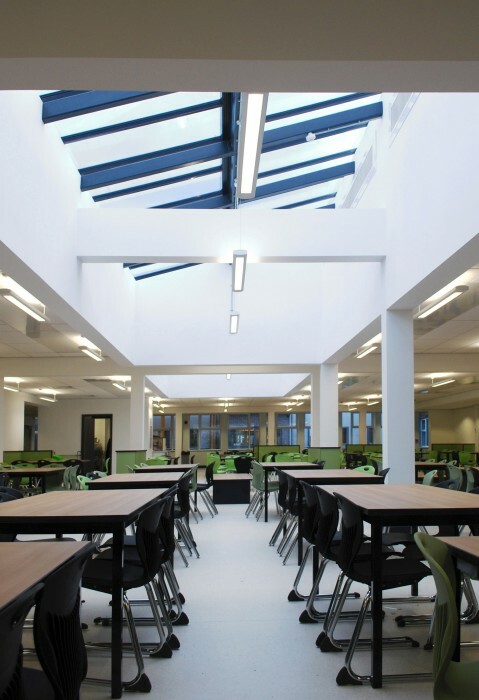 The newly formed centralised space replaces the existing provision as part of the Academy’s drive to retain more pupils on the site by providing a new and extended dining area. The Dining area is served by a separate cafe and main kitchen which is supported by varied seating areas. The building is enclosed on three sides, with the open elevation facing the playground fully glazed. Large rooflights bring daylight into the deep plan space. Dining is bordered by a gymnasium which has new openings punched through to make a visual link between sport and healthy eating. 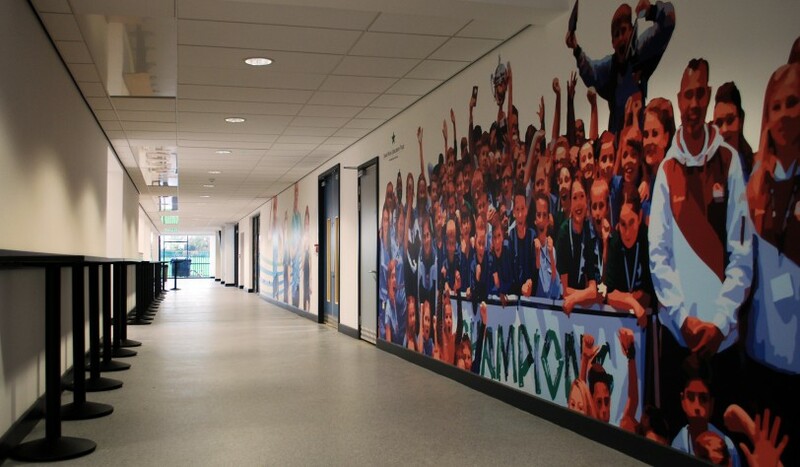 This is supported by a new Fitness Suite, PE Office and 2no 50 person changing rooms. 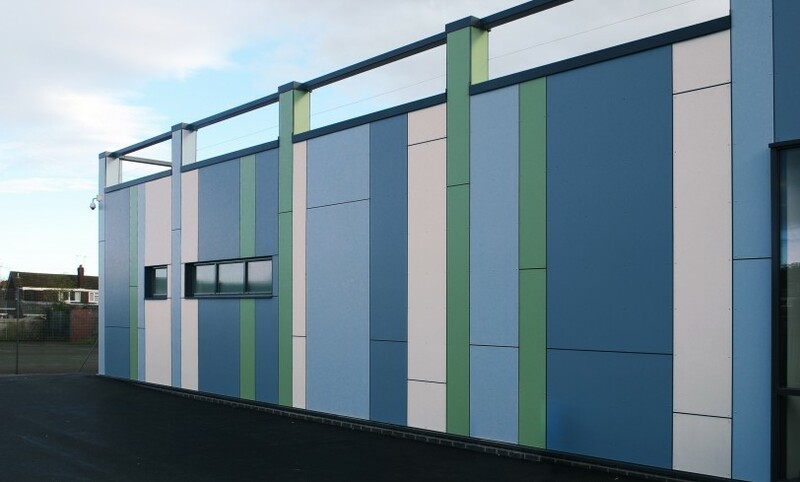 To give the new building its own contrasting identity, the facades are clad in a striped Trespa panel which returns along the covered walkway back into the school.